This one's a hard one - I don't collect extant garments and I don't particularly love any specific extant garment. 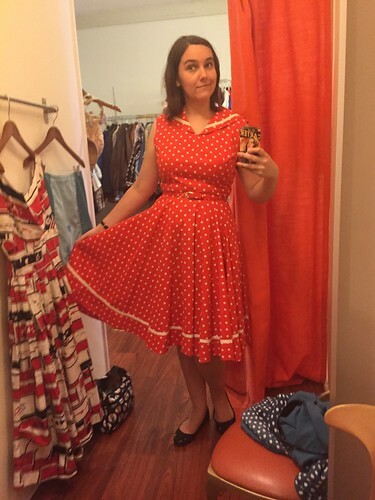 So I'm just posting a picture of my favorite vintage dress that I own! I wore it for my graduation from my master's program so it has some good memories attached to it. So there you have it - an extant garment!